?Twin Pelicans? 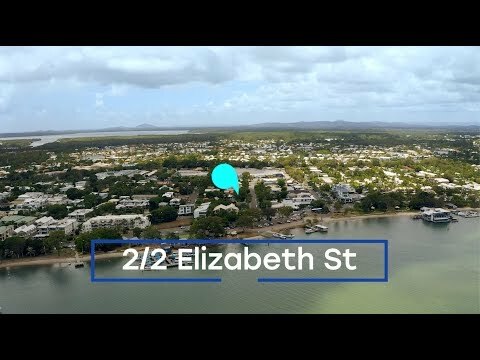 is perfectly positioned within the golden triangle of Noosaville and just footsteps from the water's edge of the Noosa River and the iconic Gympie Terrace. Offering privacy, scarcity, space and your own private swimming pool, this is a unique pet-friendly duplex home-alternative that you will love spending time in with family and friends. The upper level enjoys an elevated ceiling height that adds even more volume to the open plan living and dining areas, in turn, maximizing the abundance of natural light. The main bedroom suite also offers river views, direct balcony access, a walk-in-robe plus an ensuite bathroom. Stepping outside to your expansive north-facing deck you will love the views to Gympie Terrace whilst enjoying privacy and at the same time, plenty of space for entertaining and relaxation. The guest bedroom area is located on the ground floor level and is complemented by its very own generous bathroom too. An additional third bedroom or office plus a laundry and additional storage is also available on the ground level. Properties in this exclusive river pocket are always in serious demand, and this one really is something special. An easy level stroll to dozens of restaurants, boutiques and coffee shops, this beautifully presented home offers everything you need. Contact imsold property today to arrange your own private inspection. Large enough to live in or ideal to lock up and leave or holiday rent!